OBSCURITY- College Coaches don’t know who you are. POWER- When you put your resume/video out there, you have no idea if a coach even sees it. Shout out to Coach Martin and eRECRUITED. After my senior season I had no offers so I reached out to Coach Martin and in a couple months was blessed to receive my first DII offer. Athletes that are having a hard time getting reach outs, contact Coach Martin. Coach Martin and eRECRUITED are a blessing. As a recruited athlete, I know how important it is to be seen by college coaches. eRECRUITED allows you to be seen by college coaches at the push of a button. Super fast, super easy. If you're serious about playing in college and getting offers, eRECRUITED is a must. I want to THANK Coach Martin & eRECRUITED for all the help throughout this whole process!! The technology, confidence and encouragement you provided, helped Chris achieve his dream school!! Thank you so much!! As a 13 year NBA pro, I know how important it is to have the right plan. The right plan puts you in position to stand out. The right plan puts you in position to win. With eRECRUITED, they built that plan into their technology, allowing you to stand out and win your recruitment. As a high school athlete, one of my goals was to get recruited and compete at the next level. Unfortunately, between the colleges not coming around mixed with my lack of recruiting knowledge, that dream never happened. My mission today is to make sure that willing and dedicated athletes would no longer slip through the recruiting cracks. With this in mind I created world class technology, while mixing in results proven business concepts and whala....eRECRUITED was born. So how about it....let's merge your dream and passion with our technology and get you on the road to recruitment. FOOTBALL ONLY RECRUITING BOOTCAMP ENQUIRE BELOW. So what is the WINNING COMBO? Football's best evaluation combined with recruiting best technology to give the class of 2020 football players the very best chance of getting recruited. Enter your phone # above to find out more. Thank you. 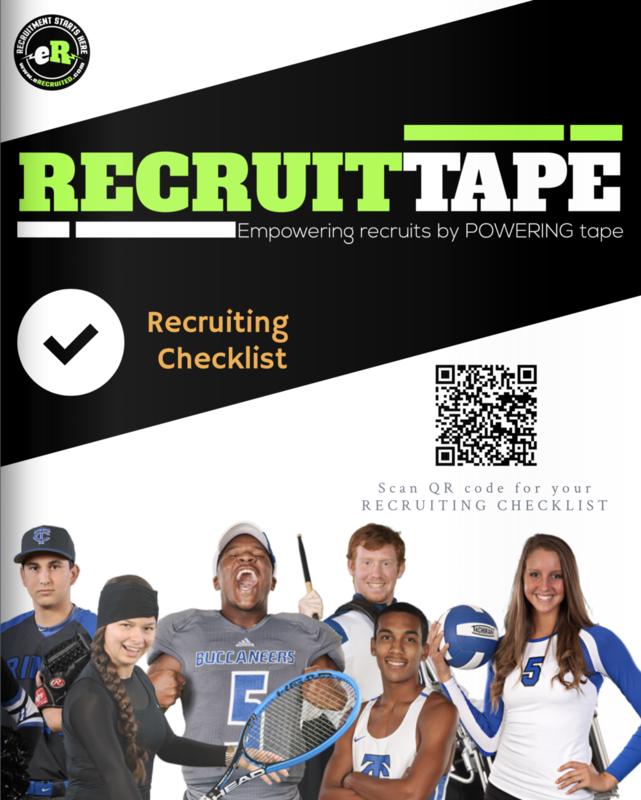 Your Recruiting Checklist will be delivered to your phone.